In photography, the term bokeh (derived from Japanese, meaning “blur” or “haze”) refers to the visually distinctive appearance of light in the out-of-focus areas of a photograph. Various lens manufacturers sell lenses designed with specific aperture controls to change the rendering of the out-of-focus areas; unfortunately those lenses can cost $1,000 and up depending on what your needs are. Thankfully, creative pros have other options available that can help achieve the bokeh effect without costing a fortune in new lenses. You could go the do-it-yourself route, but this requires you to plan the shots in advance. 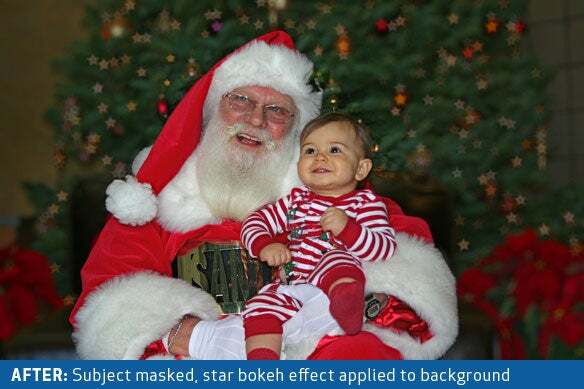 So what if you want to apply the bokeh effect to an existing image? 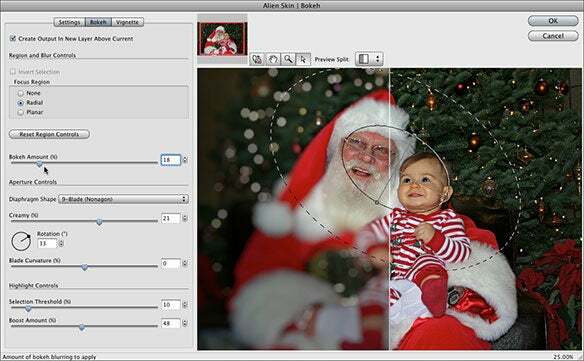 Enter Bokeh, from Alien Skin Software, a plugin for Adobe Photoshop, Elements, or Fireworks. Bokeh takes your existing image and draws attention to the subject by manipulating the focus and depth of field, adding a vignette or simulating tilt-shift—another popular photography effect which turns certain images with a wide area of focus into what appears to be a miniature model. 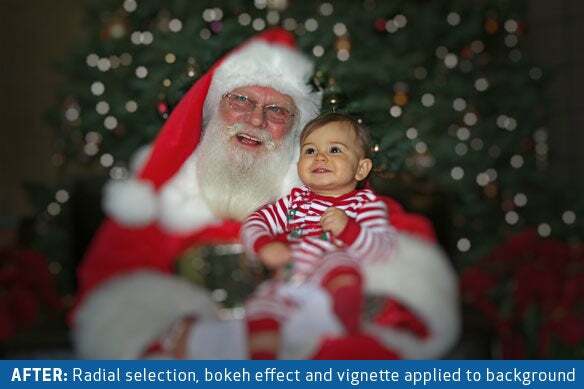 You begin by opening your image and selecting Bokeh plugin from the Filters menu in Photoshop. A preview of your image appears on the right side of the filter window, with all the customization options on the left. Bokeh provides several dozen presets in the Settings tab to start you off, and you can also customize each one of these presets and save your settings as a new preset. The Bokeh tab is where you’ll do most of the work. The first step is to choose between a radial or planar focus region—a choice between a rounded or straight line selection—and adjust the size and shape in the preview window. Next, use the slider to set the amount of bokeh (blur) you wish to apply, and the shape of the diaphragm (the shape the highlights in your image will take on). You can choose from several shapes, including hearts, diamonds, octagons, and so on. A few more adjustments can be made to the sharpness of those highlights with the Creamy slider and a few other highlight controls. You can finish the image off by adding a vignette if you wish. Bokeh allows full control over the color, shape, and intensity of the vignette. The preview window (as seen above) is fluidly updated each time you make an adjustment to the Bokeh settings, and you have the option of viewing a before-and-after split preview if you wish. This makes using Bokeh extremely easy, and fun to experiment with different settings. As you can see by the images above, you can draw attention to the subject of your images in a variety of ways, simply by adjusting how you apply the bokeh effect. Alien Skin Bokeh ($199) runs on Mac OSX 10.4.11 or later on a G5 or Intel-based Mac. 2GB of RAM is highly recommended. 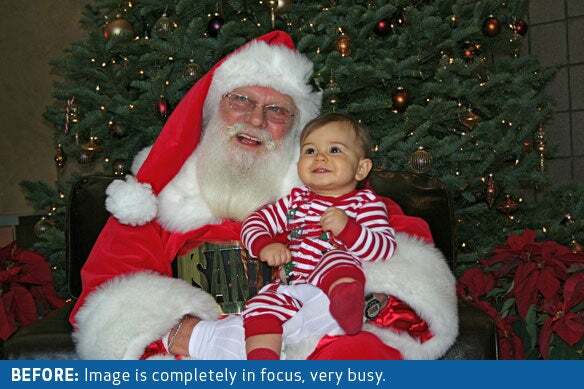 The Bokeh plugin requires Adobe Photoshop CS3 or later, Photoshop Elements 4.0.1 or later, or Adobe Fireworks CS4. In a future Creative Notes installment, I’ll show you how you can use the Bokeh plugin to simulate an expensive tilt-shift camera lens.